Industrial pump support long time working instead of weak pump. Intelligant step mashing program with LCD display. Easy to understand and use. 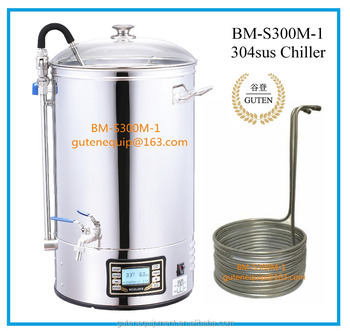 which keep the liquid inside the lauter instead of running out everywhere. Wider tank more easy for user stir the grain. Easy lift up grain basket by rotary without adding any other tray when one hand holding more than 13-15kgs grain. 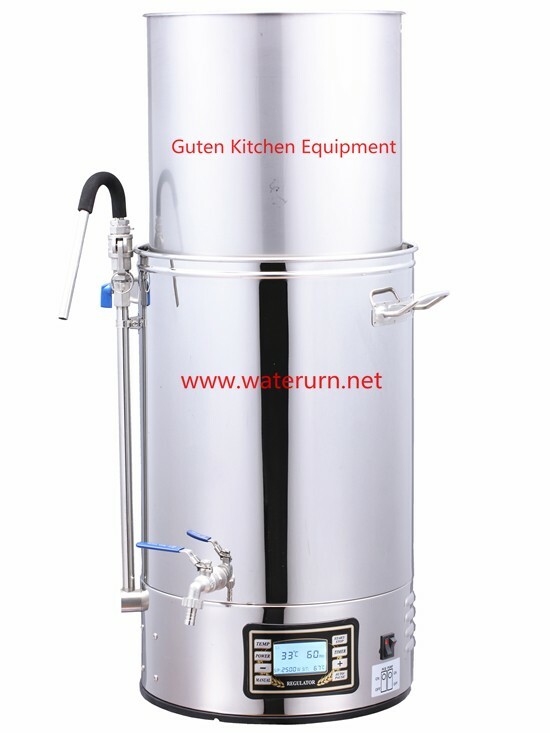 Our Beer mash tun, water boiler and waffle baker been shipping to all over the world for 6 years. 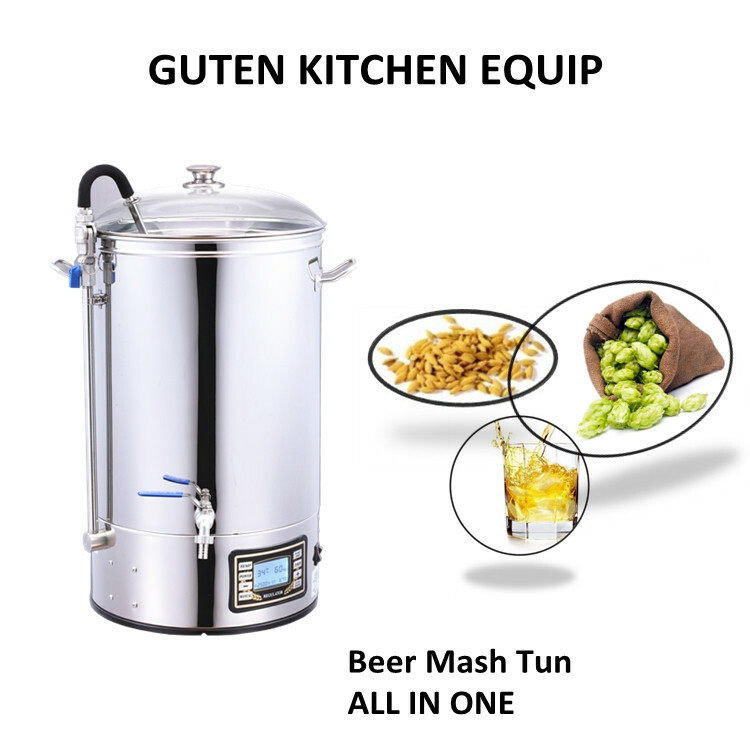 ranges of beer mash tun, 4 ranges of water boiler, 3 ranges of waffle baker. 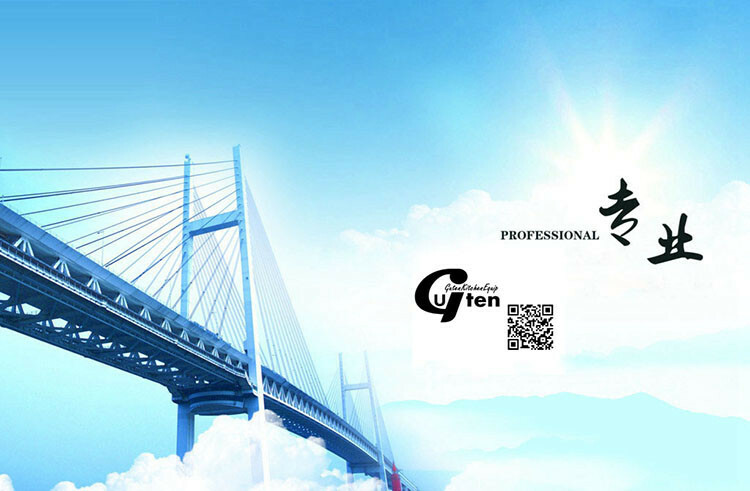 We welcome customer OEM, ODM,retail sales and whole sales order. be less than 30mins! Just feel free to contact us when you are in need! sense of quality. Cause we know quality is life of a company and factory! 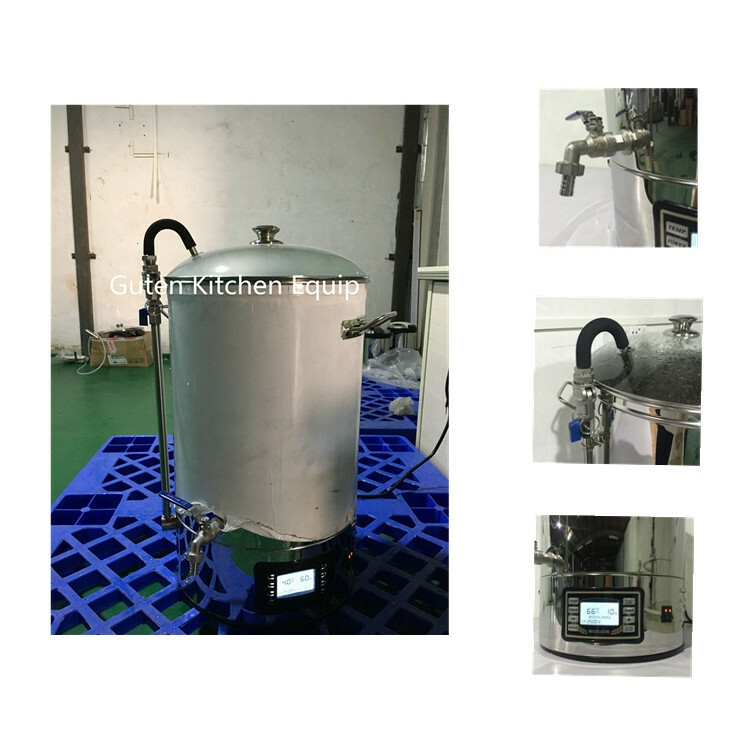 Foshan Shunde Guten Kitchen Equipment Co., Ltd.